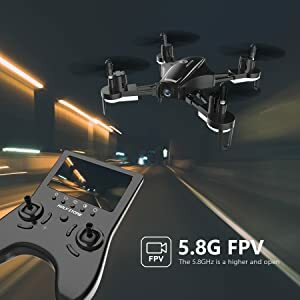 Welcome again to another one of my review, I think it is important that we can all have some fun with drones. 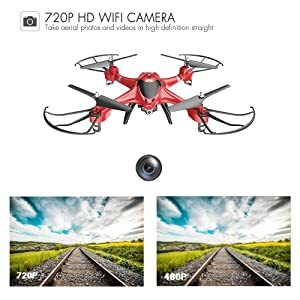 The only thing that would stop people is the price so I have put this post together full of some fun affordable drone that anyone can buy, great for kids or adults. You will see 3 different Holy Stone models $39.99 to 139.99 that I have reviewed starting from the low end to mid affordable. It is very cheap so anyone can afford it. Great for beginners who would like to start off. Only has 4 to 6 minutes of run time. 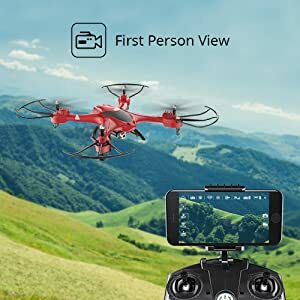 to take aerial videos and photos with your iPhone or Android phone device. 5. 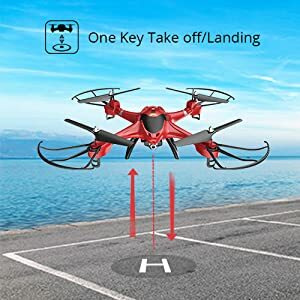 Long press “one key return” button to re calibrate your drone. 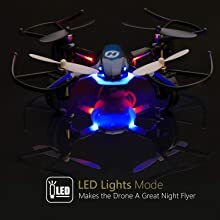 When you re calibrate it successfully, you would see the lights on the drone flash about 2 seconds and it will flash slowly again. 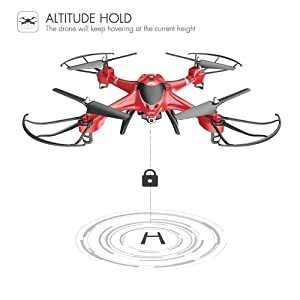 Under One Key Return Function, the quadcopter will return along the direction where the tail of the quad-copter pointed to where it was paired to the remote. When flying, the flier should not move around. 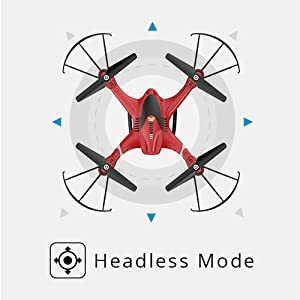 That said, we suggest pilot to stay stationary and face the same direction in which he set the head of the quadcopter to face when binding the remote.Note：1.The pilot should stay stationary during flights.2. The drone will not stop by itself. The pilot should stop the drone manually when the drone flies back.3. 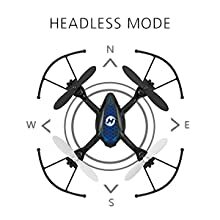 If a pilot uses the headless mode, please make sure the head of the drone faces forward when the pilot presses down the headless mode button during flight. Otherwise, one key return function could no work well. Great value for money “anyone can afford”. It has FPV Real-Time Transmission. One Key Takeoff / Landing. 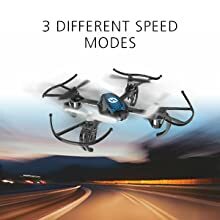 Only has 10 minute flight time. Only has 120 metre range. Picture is shutter as it has no gimble. Video is not very clear (but OK for beginner). 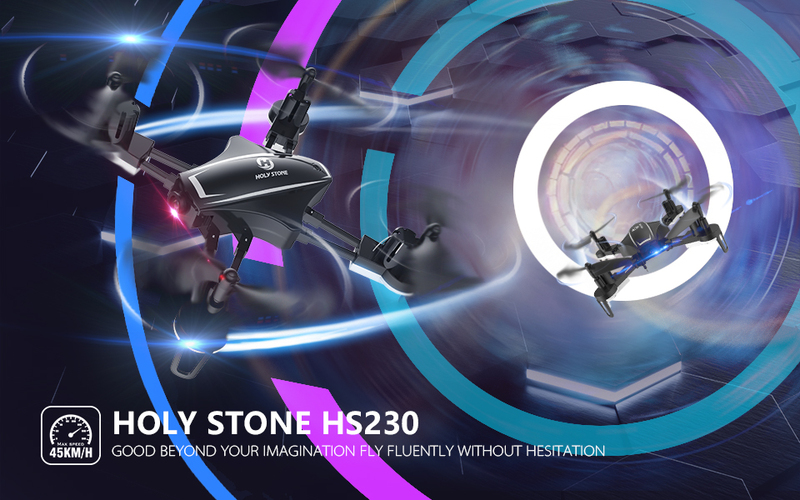 Holy Stone HS230 RC Racing Quadcopter – A Great Racing Drone That Can’t Be Missed.HS230 was created with high power acceleration, whose speed is up to 45km/h. Much fun for experienced pilots. With the Modular 720P 120° FOV HD camera and 5.8GHz real-time Image transfer, you can watch a live video from the LED screen and snap wonderful photos when competing in high-speed racing. NO Altitude Holds! NO Auto Hovering! Are you READY to take a challenge? 720P FOV 120° HD Modular Camera for Aerial Photography —LCD Monitor is equipped with Transmitter. No phone required. 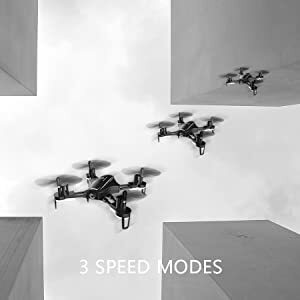 Modular Extra Batteries– Design to ensure safety for both usage and charging; 2pcs of high performance batteries double your flight time. Take a 10-minute cool down break between flights to ensure your parts last as long as possible. 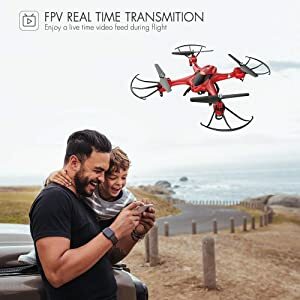 Stop the drone immediately once the drone get struck or crashed. 5.8G FPV REAL TIME TRANSMISSION. 120° WIDE-ANGLE 720P HD MODULAR CAMERA. Built in screen on the receiver. 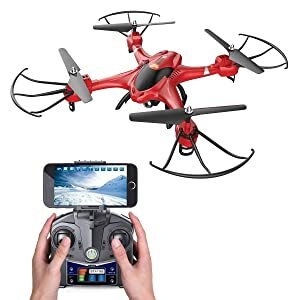 Only has 7-10 minute flight time. Only has 100 metre range. 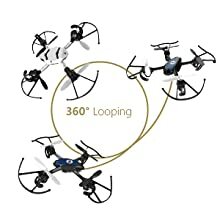 Great web site, as i’m already an owner of all these drones, I can recommend that everyone should get them. 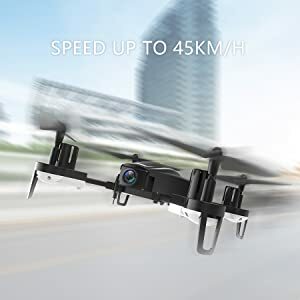 they are among the best drones for the price. 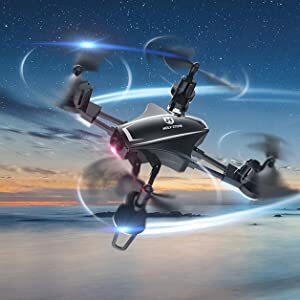 Thanks for your comments James, they are excellent little drones and great value for the money.